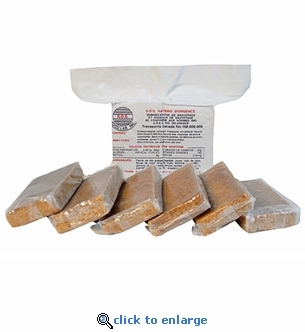 The SOS 2400 Calorie Emergency Food Bars can provide 3 days of survival food in an emergency. Each package contains (6) individually wrapped 400-calorie bars that are ready to eat. Our SOS food bars are economical and made with quality natural ingredients. When faced with a survival situation, a supply of emergency food bars will keep you strong and motivated. Ready to Eat: 6 pre-measured 400 calorie meals.